thanks to be in my linky party! I have seen this on Pinterest! Glad you tried it out, and with such great results! I love this idea! we have so many broken crayons kicking around at home and now I know what to do with them. Thanks for sharing! Some of those look really great. I will need a fair bit of patience though. I tend to get very shouty around art and craft time! Always looking for something new for the kids! Messy, but looks fun! What fun on a hot sticky summer day! We’ve made crayon art by leaving them in the car on hot summer days while traveling on vacation, though I did not see the beauty in it at the time! My kids are going to love these art experiments. Pinning! Hello there, I’ve seen this on pinterest and decided to wait on trying them until someone “real” did it (you know how sometimes things look awesome on pinterest but they don;’t turn out that way) I’m glad you shared this project! I will give it a try now! Looks like fun! I came over to visit you from Love Bakes Good Cakes party! Have a fun week! Very cool. Great for a rainy day. Thanks for sharing at The Gathering Spot this week. Love this crayon art! I bet children really enjoy doing this. 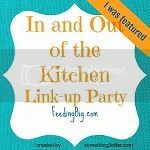 I will be sharing this post at the Top 10 Favorites of the In and Out of the Kitchen Link Party! The party will go live Monday morning. 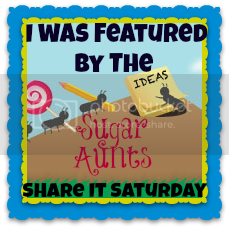 I will be pinning and tweeting this post! Thanks for sharing!